Stock Price Index Values, Average of Month. Nikkei 225 Index, Average of Month. Includes Current Prediction. A long range forecast for the Nikkei 225 and similar financial series is available by subscription. 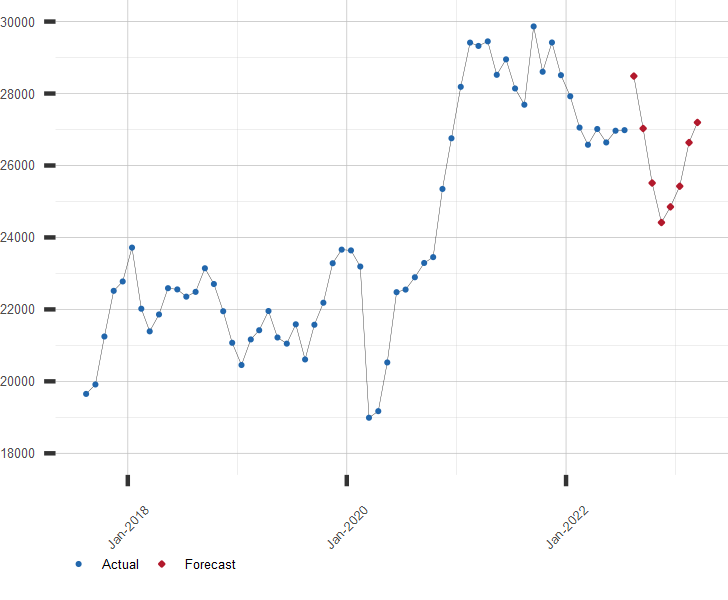 Click here to subscribe to the Nikkei 225 Extended Forecast.